Bitcoin is so 2017! Welcome to the world of Ripple cryptocurrency. We’ve all heard about Bitcoin. But Bitcoin is not the only cryptocurrency out there. As of December 31, 2017, the number of cryptocurrencies available over the Internet is over 1381 and growing. Bitcoin has also gone through a lot of volatility in recent years. In March 2010, a Bitcoin was worth $0.003. On July 8, 2011, one Bitcoin was $31.00. Then in December 2011 the price dropped to just $2.00. Fast forward to 2017, between January 5 through January 12, Bitcoin’s price hovered between $750–$920. Bitcoin climbed as high as $20,000 before it finally settled at between $13,000 to $16,000. At this price not many people can afford to invest in Bitcoin. Some believed they missed out on the Bitcoin train. Price aside, Bitcoin also has a reputation problem. The price fluctuation is making people to look at Bitcoin as another tech bubble. Bitcoin made headlines when the co-founder of Bitcoin.com dumped Bitcoin in favor of BitcoinCash. He went as far as selling all his Bitcoins, said it’s “as good as useless.” As Bitcoin gets harder and harder to mine, people will start looking for alternatives. So, what are the alternatives out there? Here are some of them: Litecoin, Steem, Dash, Safecoin, Ripple and many more. Today we want to talk about Ripple and why it’s making the headlines. Ripple is the world’s second-largest cryptocurrency by value. Ripple, also known as XRP, is the fastest and most scalable digital asset, enabling real-time global payments anywhere in the world. Ripple is widely used in the enterprise. 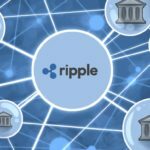 Even, the recently launched hedge fund by TechCrunch founder, Mike Arrington, will be valued in Ripple XRP. 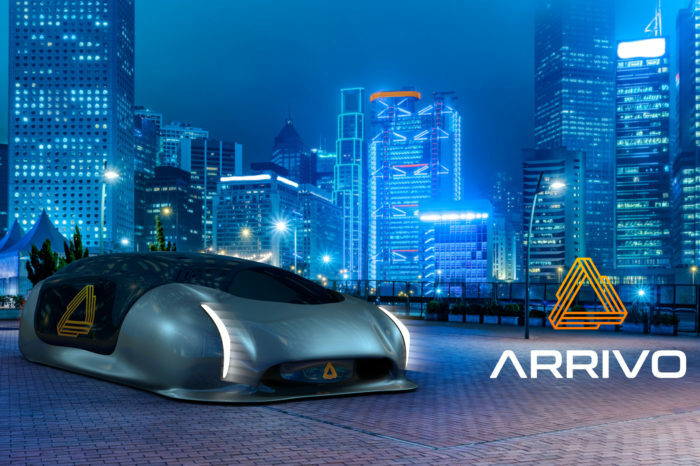 Arrington is raising $100 Million XRP Fund. In a simple term, XRP is a token or a native cryptocurrency. XRP exists natively within the Ripple protocol as a counterparty-free currency, as Bitcoin does on the Blockchain. Because XRP is an asset, as opposed to a redeemable balance, it does not require that users trust any specific financial institution to trade or exchange it. Ripple (XRP) should also not be confused with the company that bears the same name. Unlike Bitcoin, Ripple (XRP) is owned and controlled by one company, Ripple. You also cannot mine it as you mine Bitcoin, only Ripple (the company) can, and decides when coins are released. The only major similarity between XRP and Bitcoin is that both use blockchain as the underlying technology required to facilitate secure online transactions. A blockchain is a decentralized and distributed digital ledger used to record transactions across many computers so that the record cannot be altered retroactively without the alteration of all subsequent blocks and the collusion of the network. Ripple has achieved the same libertarian experiment idea of decentralized currency that started Bitcoin in the first place. Ripple is aimed at enterprises. The coin is currently marketed as a cross-border payments solution for large financial institutions based on blockchain technology. 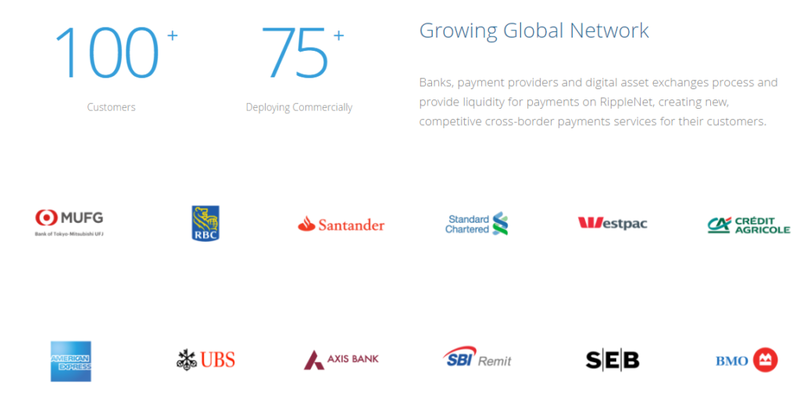 Below is a list of banks and financial institutions currently in the Ripple Global Network. Banks, payment providers and digital asset exchanges process and provide liquidity for payments on RippleNet, creating new, competitive cross-border payments services for their customers. As of the time of writing this article, Ripple hit an all-time high above $2.90. So, what is causing the Ripple rally? The best way to answer this question is to look at the problem Ripple solves, especially large scale problem faced by financial institutions. Today, it take a few days and a lot of extra fees to complete an international payment may take a few days to complete. Unlike individuals sending money overseas, the big headache for financial institutions like banks is high-volume, but low-value, transactions. Overtime, it becomes time consuming, expensive and unprofitable for banks because of the amount of effort it takes to move the money. Besides, the percentage cut would not be as high as for a larger transaction. Ripple is solving this problem using its XRP technology. XRP acts as a bridge between fiat currencies during a transaction. Ripple said transactions in XRP can be settled in four seconds, faster than any major cryptocurrency right now. Enterprises now realize they can use XRP to get instant liquidity needed in a high-value transaction, without having to pay fees. The price boost may also be helped by news in December that Japan’s SBI Holdings has created a consortium with Japanese credit card companies to utilize blockchain. Japan’s SBI Holdings and SBI Ripple formed as a partnership in 2016. Below is Ripple chart from CoinMarketCap that shows the value of Ripple climbing over 45,700% in one year. The San Francisco, California-based startup, Ripple, was founded in 2012 by Arthur Britto, Chris Larsen. The company provides one frictionless experience to send money globally using the power of blockchain. By joining Ripple’s growing, global network, financial institutions can process their customers’ payments anywhere in the world instantly, reliably and cost-effectively. Banks and payment providers can use the digital asset XRP to further reduce their costs and access new markets. It has offices in San Francisco, New York, London, Sydney, India, Singapore and Luxembourg. Ripple also has more than 100 customers around the world. To date, the company raised over $93.6 million. Its investors include globally recognized venture capital firms and strategic investors. Its investors include the group and organizations listed below. 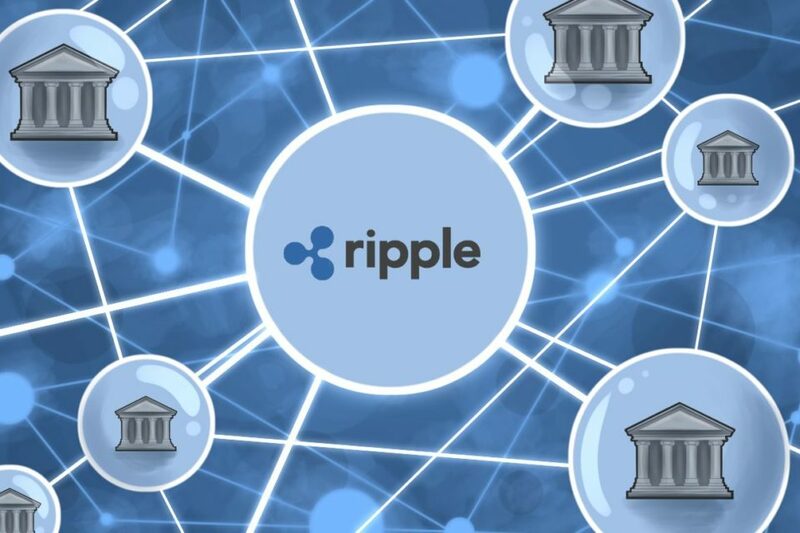 Ripple offers a global real-time payment system that enables banks and financial institutions around the world to directly transact with each other without the need for a central correspondent. The company also offers FX Market Making, a solution enabling enterprises to gain access to cross-currency liquidity through a distributed network that allows foreign exchange to be externally sourced from a competitive FX marketplace or an internal FX trading desk. This minimizes FX exposure thereby lowering the volatility and counter-party risk of trades. Ripple Insights features industry updates, insider perspectives, and in-depth market analysis. Overall, Ripple would continue to go up in value as investors realize its use cases, worldwide adoption by banks and other financial institutions and global reach.